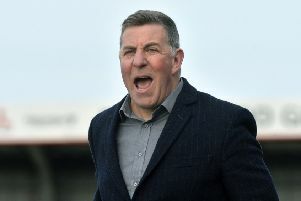 Interim manager Mark McGhee insists he has made no long-term decision on his future despite Eastbourne Borough inviting applications for a new first team manager. Borough, who are 17th in the National League South and face a crunch relegation clash against Gloucester on Saturday, stated on their website this week that they seek a full-time manager to start on May 1, 2019. McGhee is the current interim following the dismissal of previous full-time manager Jamie Howell. McGhee has three draws and three defeats since taking charge. But his intense training sessions have reportedly gone down well with the players and he has also impressed the board during his short spell in charge. He admits he’s enjoying the role at Priory Lane but remains uncertain of his long term plans. “It’s a cliche but we are looking one game at a time,” McGhee said. “We have an important job to do between now and the end of the season. 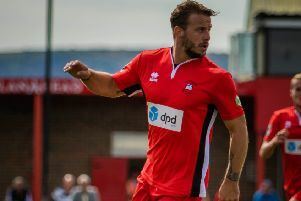 “I’m enjoying my time at Eastbourne Borough but as far as next season is concerned, that has not been discussed. We are looking at Gloucester this Saturday. That’s the priority and let’s see what happens after that. McGhee believes cool heads will prevail tomorrow. Gloucester are third from bottom but are just three points behind Borough. The Sports next two matches are at leaders Torquay and then against sixth placed Dartford. Slough away and Concord Rangers at home make up the final two fixtures. “There is a lot riding on this one and there is no doubt we would all feel much better with three points in the bag come Saturday evening,” added the Glaswegian. “But we have to remain calm and not panic. I have been in these situations before and It’s important we all do our jobs, focus and be calm. We are playing well enough that’s for sure. The work-rate, commitment and performances from the players is good, I can’t complain about that. They are working hard and I’m sure the three points will come. Meanwhile, Borough have signed talented youngster Dan Blackmore for next season. Blackmore, has been at the club for many years with the youth section. He progressed to the first team this year after also representing the under-18s and under-23s.